Descriptions will fail to tell you what you’re seeing. I’m afraid photographs will be inadequate to properly frame the sights. Your mind struggles to properly categorize this strange and wondrous landscape. 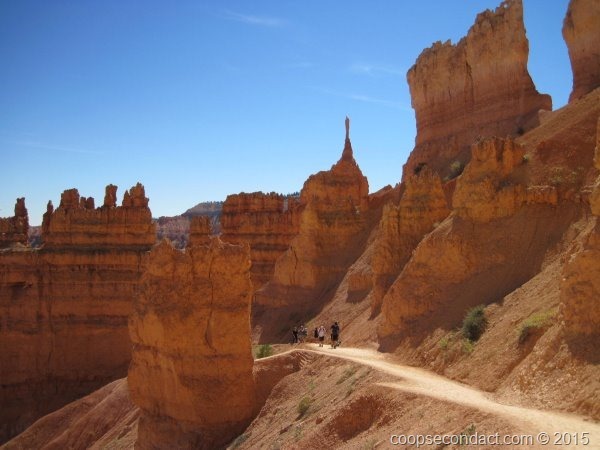 Hoodoos (odd-shaped pillars of rock), spires, windows, arches, fins and towers with a variety of shapes and colors leave you not understanding how this could have come about but wanting to see more. 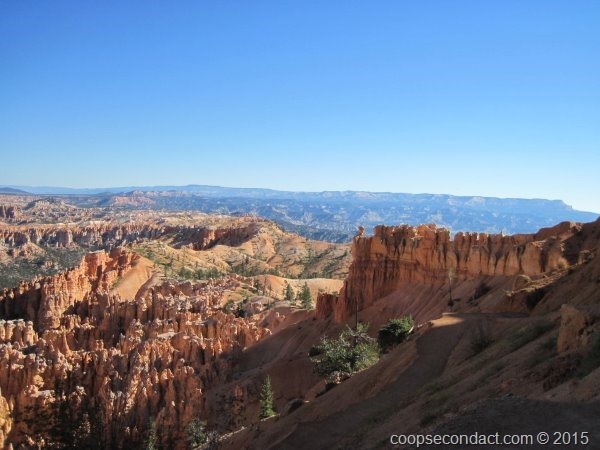 Bryce Canyon National Park must be seen from the rim and from “ground” level. We chose a combination of the Peek-a-boo, Navajo and Queen’s Garden trails to hike down into the “canyon” and see this spectacle from up close and with a variety of perspectives. This was in total approximately 6 miles of hiking with about 1,500 feet in elevation change. Spectacular. In addition, the next day we took the scenic drive in order to visit additional viewpoints that extend about 15 miles to the south.